About a month ago, I wrote a blog post about Elizebeth Smith Friedman, one of the founders of American cryptography as we know it. One of the goals of that post was to help correct the historical record and restore Elizebeth to the prominence, accolades, and attention she so richly deserves. 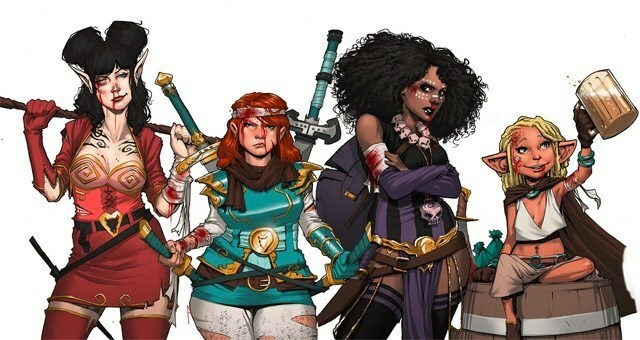 A friend of mine and fellow tabletop roleplayer read that post and pointed me toward this article from Kotaku last year about the early influence of women on the development of the iconic roleplaying game Dungeons & Dragons. One of the first playable modules, the “Sage Advice” column of Dragon magazine, the inimitable art style (and maps), the long-running D&D series of novels… women played vital roles in crafting the world of D&D as many of us know it today. But to me, it’s no surprise at all that women played such important roles in the development of one of tabletop gaming’s most famous franchises. Women have always been a part of roleplaying in my experience. 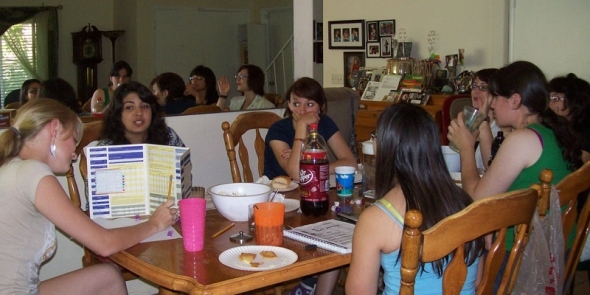 Whether we’re talking LARPs (Live-Action RolePlaying) or tabletop, in my group of friends, female players were the norm. The longest-running game I’ve ever been a part of — one that we’ve played on and off for over a decade — has had a brilliant female DM [dungeon master / game runner / storyteller]. Women made up half of the players in the Star Wars-based RPG campaign I ran for nearly seven years. The all-guy game that serves as the cliche sitcom punchline was rarely the case. But I never want to assume that my experience is the same as everyone else’s. So I decided to reach out to some of the female RPG fans, game-runners, and creators I know to get their take on roleplaying games. How did they get into RPGs? 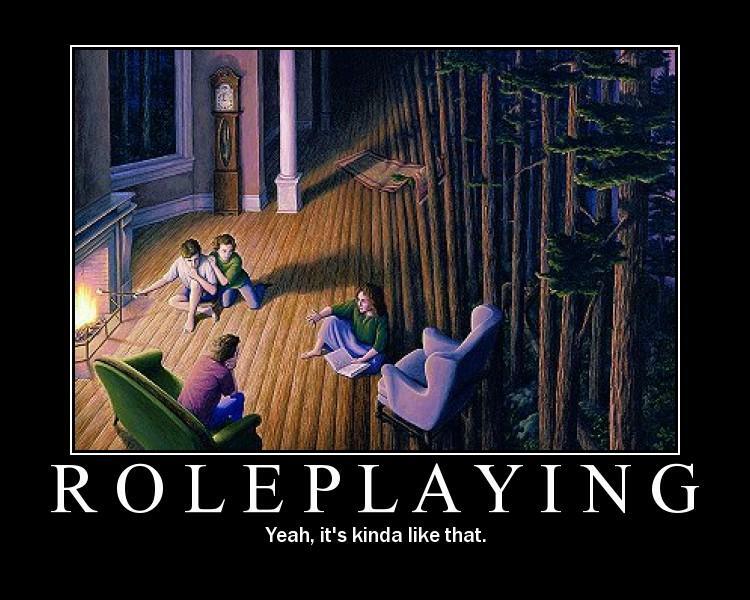 What effect has roleplaying had on their lives, their own personal creativity, and so on? And has the roleplaying world changed, either favorably or unfavorably, for them as women during their time as roleplayers? Twenty years ago I was dating a guy who asked, “Do you want to play Dungeons & Dragons?” and not really knowing what it was I said, “Sure why not.” Ever since that first game it felt like I found something that I was looking for, a doorway to a fantasy world I was unfamiliar with yet interested in. 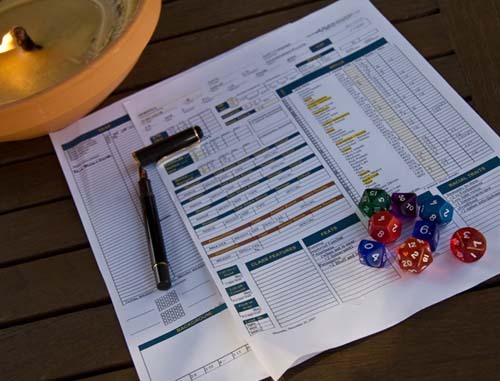 D&D was the first step into a world that introduced me to other means of roleplaying, from LARPing to MMO’s [massive multiplayer online games] to text-based games online. It allowed me to exercise my creativity and become more comfortable with writing. It lead me to learn that I love to write, especially creating characters, and eventually I even co-started a text-based Marvel game called MUCK that had a successful seven years until I burned out and couldn’t run a game on my own anymore. I started gaming when I was 14 or 15 (1990ish) when my female best friend bought a copy of the AD&D Player’s Handbook, Dungeon Master’s Guide, and Monster Manual [the three core books required for D&D] on a whim one day and she ran a game for me and her brother and, I think, a friend of her brother’s. 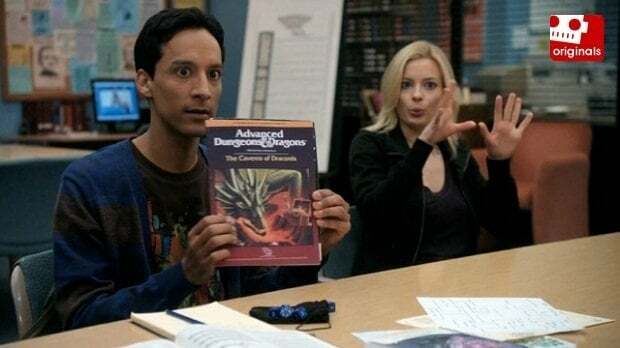 I’d been exposed to the idea of D&D several years before when the blue box set came out, and another female friend’s brother had it and the dice on his desk. I was utterly fascinated by the idea and wanted to play, but of course we were the Little Sister and friends, so we weren’t invited. 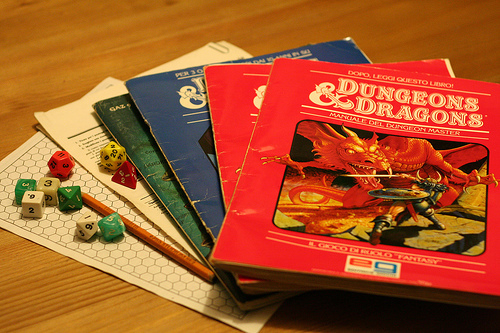 When I was 10, my sister brought home a boxed set of D&D (the original edition) which had a map, module & etc. She was my first DM and first tabletop RPG buddy… RPGs were a way to bond with my sister originally, and later on when online RPGs were a thing it was the manner in which my sister met her husband, and the way I met my best friend (now ex-husband, though we are still friends). But no matter how they discovered roleplaying, it made an immediate impact. It changed my life by helping me form and solidify friendships. I even met my second husband because of RPGs (online and not pencil and paper) and that’s pretty rad. It also helped me gain some confidence early on when I started game-mastering. I was pressured (in a friendly way) to try my hand at being a game master. I didn’t think I could do it, but I was with a group of trusted friends and I tried it out. It went pretty well, and because being the leader and helping guide the story had gone well in that trusted environment, I felt more empowered to try it at a small convention with people I didn’t know as well. Those people ALSO had a good time, and each experienced helped me feel more capable in speaking in front of strangers, and if I’m being perfectly honest, also how to fake a bit of confidence at first to help me get started. How has gaming affected my life? I laugh: it has been one of the two biggest parts of my life for most of my life. I met the most important people in my life through gaming, whether it be tabletop, writing for the games, or LARPing: my best friends since high school, my general social group, and my husband. Gaming certainly helped broaden my creativity — collaborating with my best friends when we wrote tournaments or created a whole world to set games in brought so much to the forefront. Cultural knowledge, intricacy in political situations, and depth of character all came into it and we all boosted each other’s creativity. I also like playing all different races, classes, attitudes, and genders when I play — just to see what it’ll be like and to bring different parts of my personality out. That being said, there has definitely been a sea change in how women in roleplaying have been viewed over the last twenty to thirty years. Beverly: I have been at it in some form or another since about 1992 and mostly I have had good experiences but there have been some pretty bad ones. I think it has gotten a bit better for me over the years, but admittedly I am not as into it as I used to be. Addie: The world has definitely become more welcoming to female gamers, at least in my experience. For many years I hid my gender online when roleplaying or playing MMOs, tending to play male characters. I never told anyone I was female but I didn’t tell anyone I wasn’t male and just let them assume. I’m sure there are people out there who are still convinced to this day I was a dude behind the screen. Now, I have no issues with hiding my gender. The harassment isn’t there like it used to be, I’m not the “golden egg” of female roleplayers anymore. As for my own career, I wrote and edited for several game studios throughout my 20s and 30s. White Wolf in particular liked employing women in the office, but I don’t think that was really because they were committed to diversity. I think it was more because “Wimminz In Gamez Iz Edgy and Cool.” Yes, the women were incredibly capable and remain powerful writers and gamers, but still. And yep, I know more than the man does. I didn’t want to identify myself as a female RPGer to those that may attack me. I readily tell people I enjoy tabletop, RPG, and other video games in real life, but often (especially in groups of people that already somewhat know me) when I say “oh I love that game”, I get checked for my nerd card. 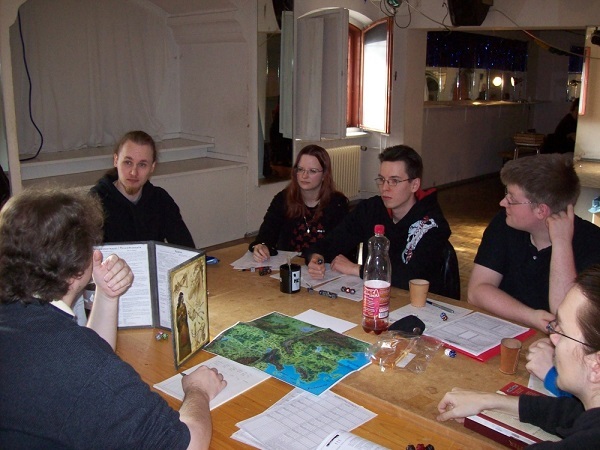 Testing responses from people trying to make me prove I actually am a gamer… I got into D&D in the early days of high school because it looked like fun and my friend-group played. Since then, I personally have always found it somewhat difficult to “break into” new groups. It’s been a generation since the early days of D&D, and thankfully, being a female RPGer is far more common, even if it can be hard for new players to get started. Addie: It’s also nice because female Roleplayers aren’t the rarity they used to be. Lindsay: I also feel like being a woman among gamers gives us a way to feel special sometimes in a world that stigmatizes, belittles, or outright ostracizes smart, creative women who don’t fit the physical or otherwise mold of what a Strong Female Character ought to be. It seems like a poor sort of evaluation, but … it’s true. Among the usual population, we’re just kind of weird, with weird interests. Among gamers, we’re rare and fascinating. That’s nice to feel sometimes. And on the other hand, that same rare and fascinating thing crosses very quickly, very often into creepiness and even sexual inappropriateness. It’s kind of scary sometimes as a woman to walk into a new game group and have no idea what the guys are going to be like. Jala: I can’t say that I ever experienced the kinds of horror stories you read about on Buzzfeed, myself, so my personal exchanges have ranged from being blase (occasionally with new folks I didn’t know) to absolutely hilarious (when my gay male friend was playing a flirty straight woman and I was playing a straight man whom his character hit on for example, the role reversal was funny to everyone). The respect of my personal authority was never challenged even as a teenage female DM with older people as my players, although I did exasperate a DM or two with my out-of-the-box thinking as a player. That, however, had nothing to do with my gender. Athena: Whenever I play tabletop games — Magic, board games, D&D. etc. — the (mostly male) players don’t care AT ALL who I am. It’s generally an extremely welcoming community in person. Lindsay: Things have absolutely changed over time. Women have gone from being only princesses to be rescued; bar wenches; prostitutes; and the subject of lonely-artist posters to writing the rules systems; being the examples of particular classes or races in said books; having a voice and presence online and in media; and more respected equals as players and writers. We still have things to overcome, but we have come SO far. Jala: Initially although my “core group” was comprised of my sister and whatever friends (all male) we could rope into it, these days there are many more female gamers of all flavors. From being an outlier in what was a fairly esoteric and clique-filled community, I have (female and male) friends who own comic & gaming shops and run games for kids and single-session adventures for those who can only drop in from time to time. I think that the voice of women is more pronounced now and there is definitely more representation of my gender out there which is great. Addie: When I was at PAX EAST in 2014 and playing the Pathfinder Mods, one of the random groups my friend and I got put together with ended up being all females. We had so much fun we played three modules together and the GM was shocked to find out we weren’t a regular group, just a handful of pairs of strangers. We weren’t put together because all of us were female, we were put together because we were the players waiting for a group. 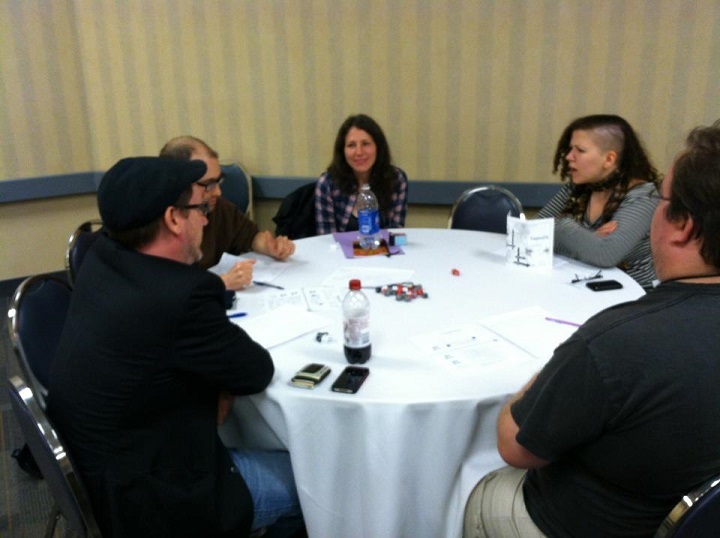 Ten years ago, there wouldn’t be enough women at a Tabletop booth to put a 7-player group together. Although things are changing and the pendulum of acceptance and inclusiveness is swinging in the right direction, it’s still amazing the impact that one or two strong female voices can have in attracting and empowering other players. Lindsay: A guy came up to me at the game store I work at to ask me how many women play D&D. He said his wife and he had played some online D&D and loved it, but she in particular was hesitant to try it in person because she felt uncomfortable with the idea of being a female newbie in a room full of guys. I realized that this reluctance might be more common than anyone realized, and I thought about the fact that even I, a lifelong gamer, am always reassured when there’s even one other woman on a table. 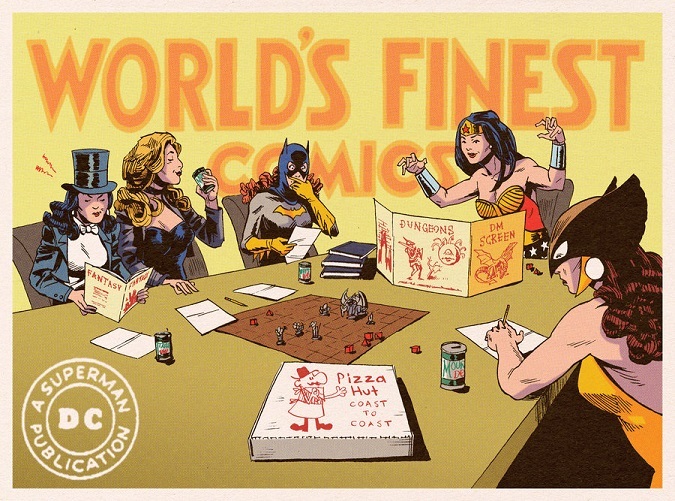 Thus was born my Thursday women-only D&D table. Now I have more interest than seats available at the table! One of my players said, after the last session, that she really, really enjoys playing with just women, that there’s so much less pressure to know everything off the top of your head and that roleplaying is so much more fun. My stated goal with the game is not only to give women a table of our own but also to welcome and encourage newer gamers or total beginners. It’s a safe space for all women, and I specified that trans women are women and therefore welcome too … Safe. Space. And we’re having a good time! 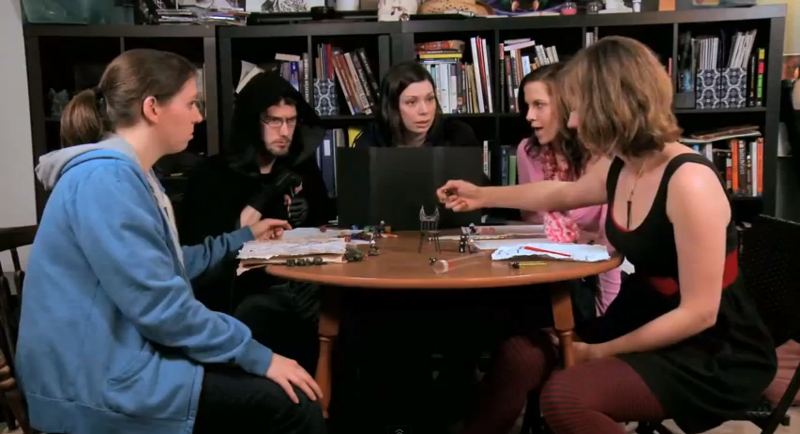 Addie: I’ve also found that being a female roleplayer with 20 years of D&D under her belt, I’ve been able to help other, younger, women with getting into tabletop roleplaying. A lot of the younger roleplayers I meet online nowadays are mostly younger females who do a lot of text-based roleplaying. Now that they’re starting to get their feet wet with tabletop, they’ve come to me with questions, and I thoroughly enjoy being a “Geek Mom” to young girls. 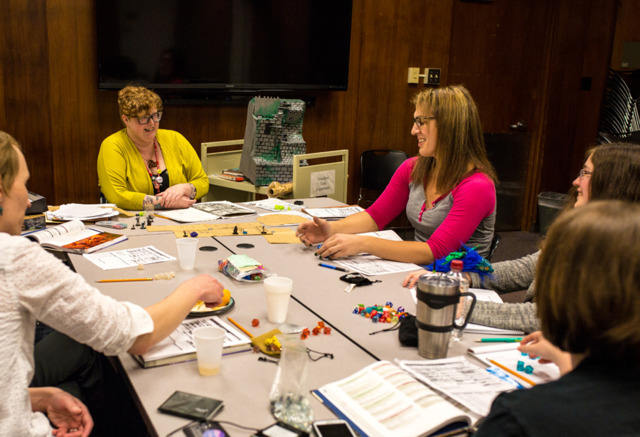 It was a privilege talking to these women and gaining some valuable insight into the world of roleplaying games from their point of view. Just reading these stories made me even more grateful that my personal experiences with RPGs have been so positive. Seeing these amazing, creative, hilarious, and brilliant women help to shape the roleplaying community for the better… it’s something special. When things like Gamergate simply don’t happen any more because women’s voices are automatically respected, we’ll have gotten somewhere. Meanwhile, I’ll keep reaching out to women in gaming and helping the ones I can as well as doing what I love best. 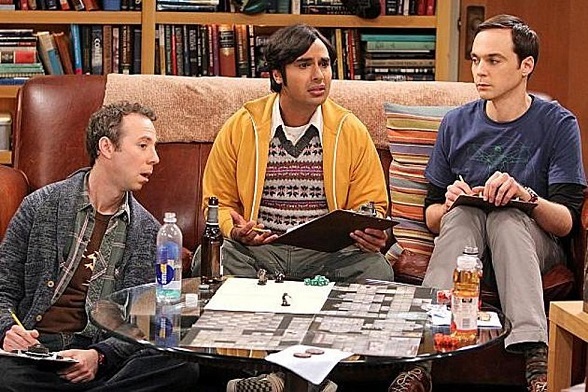 This entry was posted in Games, PuzzleNation, Puzzles and tagged big bang theory, community, D & D, D and D, DIY puzzling, Dungeons & Dragons, Dungeons and Dragons, gamer girl, gamergate, games, Geeking Out, LARP, mmo, online gaming, Pathfinder, Pax East, Pop culture, PuzzleNation, Puzzlin' fool, rat queens, role-playing, roleplaying, roleplaying games, rpgs, women in games, women in roleplaying by gmdirect. Bookmark the permalink.